Why hire Attorney Ryan Alexander for your bankruptcy case? Attorney Ryan Alexander is among the most experienced bankruptcy attorneys in Nevada, having personally handled hundreds of cases discharging tens of millions of debt. Ryan is one of the few lawyers in Las Vegas handling the more complex Chapter 11 cases, and Ryan often gets referrals from other bankruptcy law firms when cases are too complicated or require special attention. Our clients meet directly with Ryan from the very first meeting, and Ryan will tell you about the process and then actually answer your questions. Ryan performs the attorney work on the case and will be the attorney sitting beside you at your court appearance. We pride ourselves on having direct attention to your case; with Attorney Ryan Alexander you will not be passed around multiple paralegals or lawyers like a factory assembly line. Our clients who have met with other firms constantly tell us that we give the most comprehensive and informative initial consultation they have had. Chapter 7 bankruptcy is what is understood as a traditional bankruptcy, where your unsecured debts are eliminated and you can start over again. You have to qualify for Chapter 7 bankruptcy by passing a “means test” that looks at your income, expense and debt levels: if you make too much money beyond the median income in Nevada you may only be allow to file for Chapter 13 bankruptcy (see below). Most clients do not have to give up any property, except sometimes part of the next year’s tax return. If you do have assets beyond the exemption limits, the trustee will often allow you to buy it back – with payments – before taking it to auction. In bankruptcy, your case is assigned to a Trustee, who is a lawyer who represents the interests of the government in the same way that a District Attorney represents the government in criminal proceedings. The Trustee will manage the case for the court. Most Trustees have been bankruptcy lawyers and are pleasant to deal with. You will have to have at least one meeting in person with the Trustee (called a “341 hearing”), with Ryan there with you, where the Trustee will ask you questions about your financial situation and your petition. The hearing is usually very quick and lasts only 3-5 minutes. Secured debts, such as a home or financed/leased car, are not eliminated in bankruptcy unless you give up the property. If you get rid of the house, you are forgiven from the debt. If you keep your house, you will still owe the mortgages. Foreclosure proceedings stop while your petition is processed with the Bankruptcy Court. Nevada has an extremely high ‘exemption’ for your home ($550,000), meaning almost all debtors can even keep a paid off house. Most people are able to keep a vehicle through Chapter 7 bankruptcy, and the debt is not dischargeable through the bankruptcy process. You can also have another cheap vehicle under $1,000 in value, or a work truck if it is owned and titled to a business. If you have multiple vehicles or over $15,000 equity in a vehicle then you may have to consider selling them through the Trustee. Usually no, but it is the creditor’s decision. If owe nothing on the card when you file, the creditor may allow you to do so. It will likely have a low credit limit or be a secured line credit card, but that is often better than nothing. In Nevada there are several generous exemptions for tax-exempt retirement accounts, Roth IRAs (up to $500,000 per person), pensions of public employees and various public benefits. In this case, you should definitely consult an attorney. No, do not transfer property to others before you file. You will have to give a full accounting of your property, bank statements and tax returns to the court, and if you give things away the court can take them back. Talk to an attorney before transferring any property, monies or benefits to others if you are considering bankruptcy within the next year. In a Chapter 7 you can only keep rental properties that have no equity. Equity in a rental or investment property or timeshare is not protected, and the Trustee can take the asset and sell it. More questions? 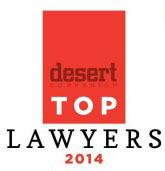 To schedule a free bankruptcy consultation with Ryan call (702) 868-3311 right now. Chapter 13 Bankruptcy Overview Chapter 13 bankruptcy is a repayment plan of your debts, rather than eliminating unsecured debts. It does not make you surrender property and allows you to pay your bills back over a period of several years and usually reduces the total debt. It requires financial planning with your attorney and the Trustee, who has to make sure you can make the scheduled payments. If you make more than the median income in Nevada you might have to file for Chapter 13 instead of Chapter 7 because of the recent changes to the bankruptcy law. However, after beginning a Chapter 13 payment plan if your personal circumstances change, you can convert the case to a Chapter 7 bankruptcy. 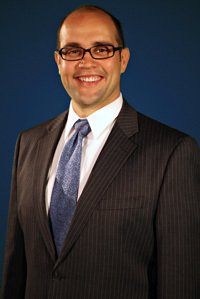 To schedule a free bankruptcy consultation with Ryan call (702) 868-3311 right now.